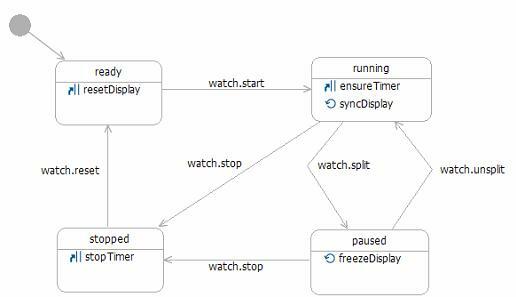 SCXML documents (more generically, UML state chart diagrams) can be used to define stateful behavior of objects, and Commons SCXML enables developers to take this model directly into the corresponding code artifacts. The resulting artifacts tend to be much simpler, embody a useful separation of concerns and are easier to understand and maintain. Demonstrate the useful separation of concerns, the simplicity of the resulting artifacts, and the direct association between the model and the code when using Commons SCXML to incorporate behavior. 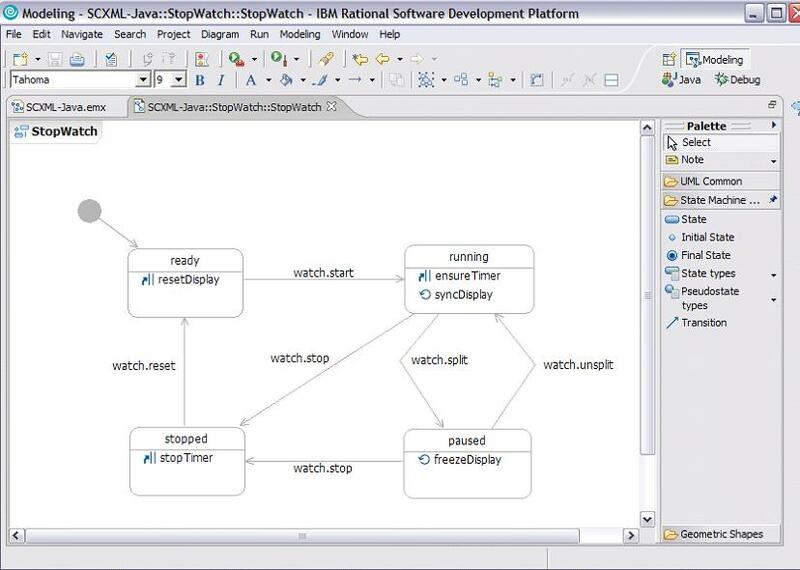 Here is a short exercise in modeling and implementing an object with stateful behavior. 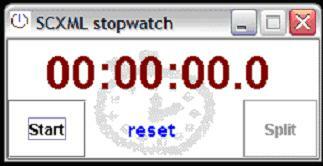 A stopwatch -- for anyone who may need an introduction -- is used to measure duration, with one button for starting and stopping the watch and another one for pausing the display (also known as "split", where the watch continues to keep time while the display is frozen, to measure, for example, "lap times" in races). Once the watch has been stopped, the start/stop button may be used to reset the display. 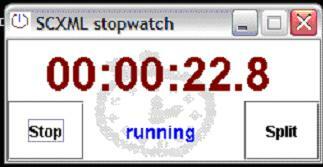 The SCXML document is then, a simple serialization of the "model" above: stopwatch.xml. The "lifecycle" is defined by the SCXML document, which is an artifact easily derived from the modeling layer. The code is much simpler, since the lifecycle management task has been assigned to Commons SCXML. 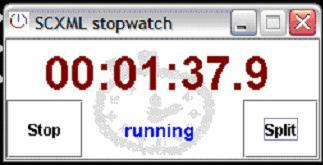 The UI is "backed" by a StopWatch instance. 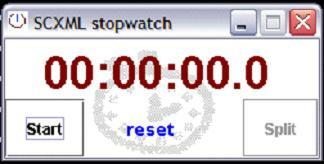 It merely relays the user initiated events (in this case, button clicks) to the Commons SCXML driven StopWatch instance by serving as an intermediary / proxy. The UI and application behavior separation is thus, and usefully, pronounced.